BP has agreed to disclose how its spending plans, emissions policies and broader business strategy align with the Paris climate agreement amid mounting investor pressure on oil and gas companies to take responsibility for their contribution to global warming. Hermes EOS, Legal & General Investment Management, Aviva Investors and M&G Investments are among institutions planning to file a shareholder resolution at BP’s annual general meeting in May, demanding more transparency. Ahead of this formal filing, BP’s board of directors agreed this week to support the proposal after several months of discussions with investors — an acknowledgment that energy majors need to take a more proactive and open approach in the climate debate. The company has backed investor demands asking it to show how capital expenditure into new energy investments, greenhouse gas emissions targets and carbon intensity of BP’s products are consistent with a global push to limit temperature rises to well below 2C. “Based on current disclosures, it is not possible to evaluate the extent to which the company’s investments in fossil fuel reserves or resources are consistent with the Paris goals,” a statement from the investors said. Greenhouse gases that trap heat are largely caused by the burning of fossil fuels. Environmental groups and ethically minded investors see energy companies as climate change enablers. The groups have been pushed to cut emissions from the production, processing and distribution of oil and gas. They have also been encouraged to divert funds from dirtier resources, such as Canada’s tar sands, in favour of lower-carbon energy even as revenues fail to match legacy hydrocarbon businesses and with demand for fossil fuels still rising. 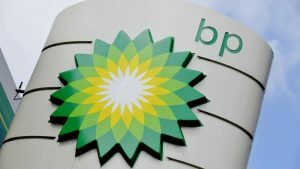 The latest move comes after a Netherlands-based group called Follow This filed a shareholder resolution at BP in December, pressing for hard targets for cutting carbon emissions. The targets include those of consumers that burn BP’s products. Martin Wolf on climate change BP said on Friday it does not back the Follow This proposal, having previously argued that third-party emissions are out of the control of energy companies. Rival Royal Dutch Shell, however, pledged in December to set short-term rolling targets on carbon emissions, that include those from its consumers, from next year. BP has already outlined targets for reducing its own carbon emissions and taken a lead in ensuring global energy companies limit methane leakage. The company also announced on Friday that reductions in greenhouse gas emissions have now been included as a factor in the remuneration of 36,000 employees. The competing resolutions underscore differing investor approaches and company strategies for addressing the energy sector’s role in bringing about global warming, that could set the stage for a tense shareholder meeting in May. While some investors have said the new resolution was significant and would be legally binding when filed, others have said the lack of third-party emissions targets would mean energy companies could not be compared effectively with one another. Adam Matthews, director of ethics and engagement at the Church of England Pensions Board, which was not part of the BP discussions, noted the company’s aspiration but said it “has some way to go” before it can be considered aligned with the Paris accord. “If the response doesn’t clearly set out how the company’s business strategy is consistent with the Paris agreement, investors will review their options,” he added. Shareholders could divest their holdings if they do not feel it has met its obligations under the resolution, although investors say it is more likely they would vote against directors. Investors are concerned not only about the impact fossil fuel companies are having on climate change, but they also fear diminishing returns should oil and gas projects become uneconomic if the world move towards using cleaner fuels.